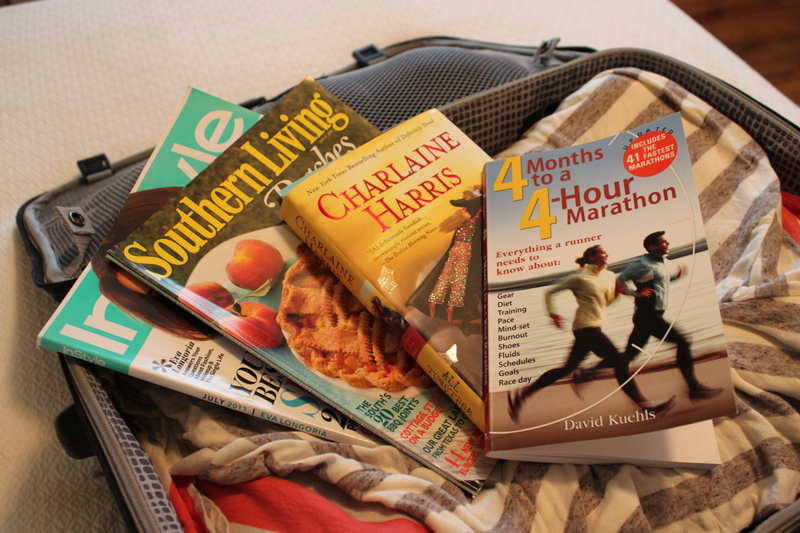 Getting ready to go on vacation has always been fun for me. This year I waited a little too long to take my first vacation of the year, so that excitement has been building for a while. I grew up taking road trips with my dad and they are ingrained in me as a result. I love a good road trip. I’m the type of person who is perfectly fine driving alone for 8 hours as long as the scenery’s good and I’ve got music to sing along to. I consider myself a pretty good co-pilot. I’m not a good sleeper, whether in the car or on the plane. I have to be awake for everything. I also LOVE to make pit stops and explore road-side venues. 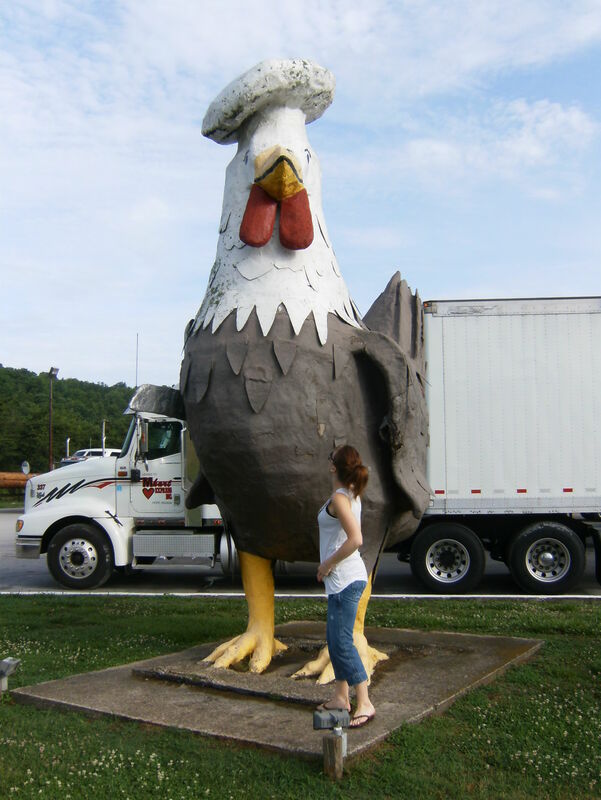 Who can resist a giant chicken, Hello?! I tend to overpack, mainly because I fear being unprepared. I’ve been known to bring an entire suitcase full of shoes. Clean the house from top to bottom. Coming home from vacation to a clean house is probably one of THE best feelings in the world. Auto Reply and Voicemail settings. This is the true test of whether or not I’m taking my vacation seriously. If you call me and it’s on my voicemail, that usually means I’m at least attempting to take some time off. If you email me and get an auto reply, that’s taking it to a whole ‘nother level! 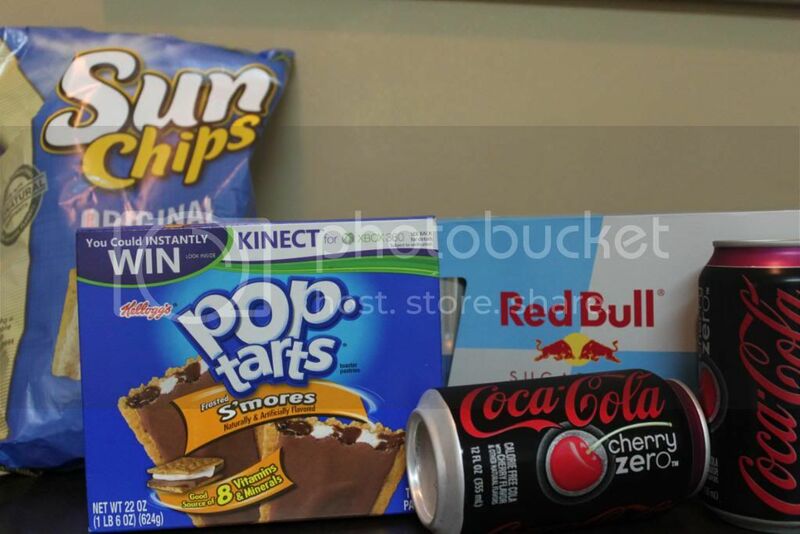 Shopping for road trip junk food– I only eat Pop Tarts when on the road. Same applies to Chick Fil A chicken biscuits. Girly prep: mani/pedi, spray tan (as a courtesy to those who will have to see me in a swimsuit), shopping for any clothing that may be fun to take. I’m a planner by nature, so getting ready to get ready is my forte. What are your road trip staples and do you have any rituals that you do prior to leaving? Happy Vacay! Pics of the trip to follow soon! You and Stephanie have the ‘planner’ gene in common! I pack literally 30 min. or less before we actually leave for a trip. It drives Stephanie absolutely crazy, but it’s how I grew up! I too LOVE coming up to a spotless house and empty laundry basket! I won’t lie….if where I’m staying at has complimentary washer/dryer in the condo, I will go ahead and wash ALL dirty laundry from the trip just to be able to come home, put it away and relax on the couch the rest of the evening. 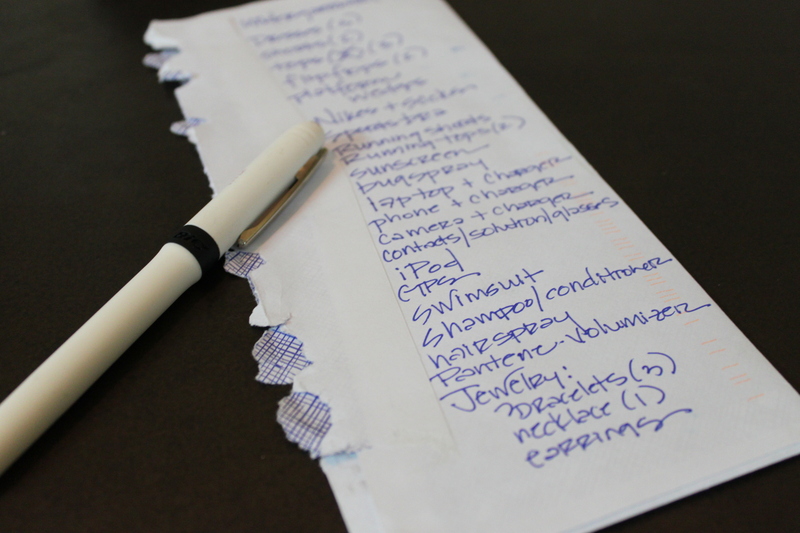 I make copies of my list, would be GREAT if I could invest in some carbon copy notebook paper. This ensures that I have a backup copy if anything should happen to the first one. I have found that the first list made is usually completed entirely with nothing left off, BECAUSE I’m so excited to go on vacation. If I have to make another one I have found I usually ponder to much trying NOT to leave off anything from the first one. I also have been know to take practically an entire suitcase of shoes…….because in the my world every outfit DOES NOT require the same pair of shoes. Possibly the same color but NOT the same style.